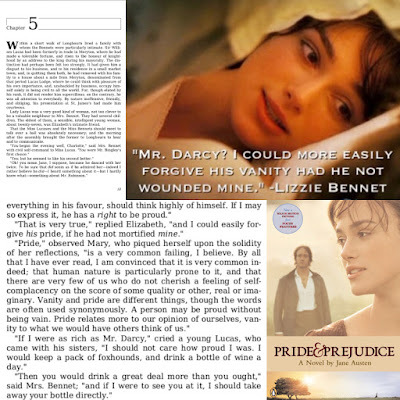 Continuing from my previous posts (Chapters 1-6) and moving on to Chapter 7, which was about Mrs. Bennet telling Jane to go on horseback while she visits Miss Bingley at Netherfield instead of riding the carriage because she said that it'll rain that day and Jane will have to stay the night (with the Bingley's), exactly as she predicted. 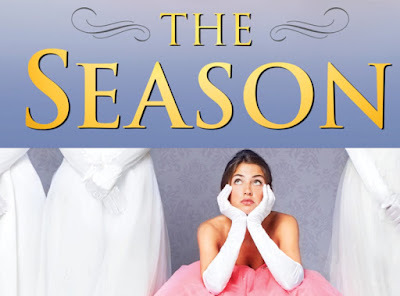 Of course, we all know it was actually Mrs. B's way of subtle trying to hook-up her beloved eldest daughter to Mr. Bingley, lol. 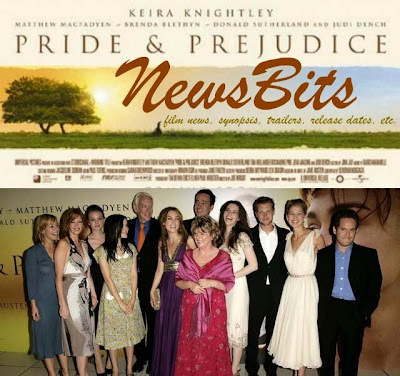 P&P NewsBits: A funny video of Matthew Macfadyen on Howards End set; Win a Trip to London to have Tea with Keira Knightley; Watch Judi Dench in new US Trailer for Tulip Fever and more! Here's today's quick news round up of TV and film news (including casting calls, a film synopsis, trailers, release dates, festival news, etc.) 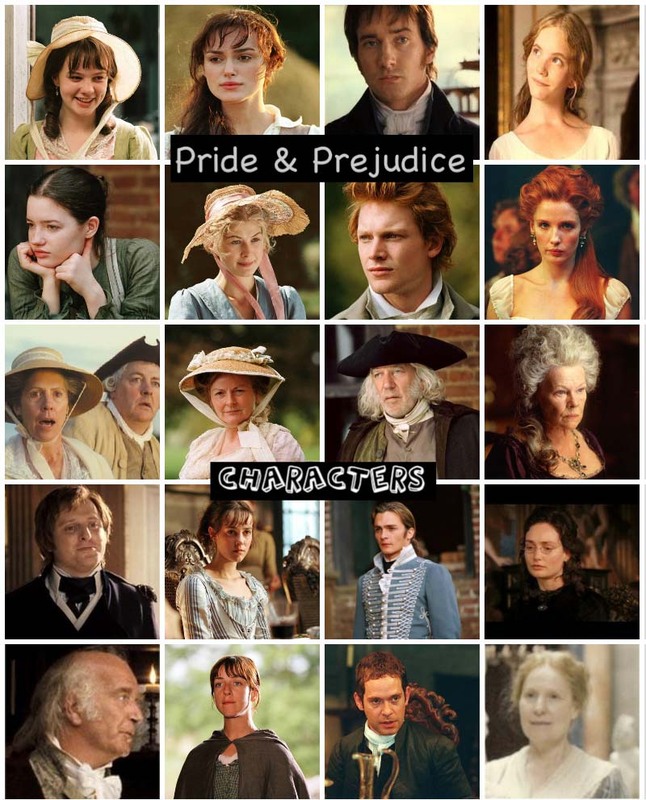 of the following P&P (2005) actors:Keira Knightley, Matthew Macfadyen, Donald Sutherland,Judi Dench, Penelope Wilton, andTom Hollanderall in one post! 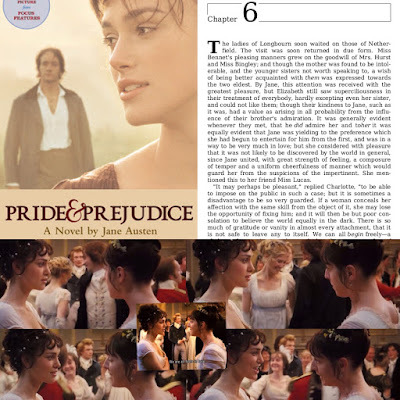 Continuing from my previous posts (Chapter 1, Chapter 3, Chapter 4, and Chapter 5) and moving on to Chapter 6, which was about the (Netherfield Ball scene in the movie with Charlotte Lucas' most memorable line, "We are all fools in love.") 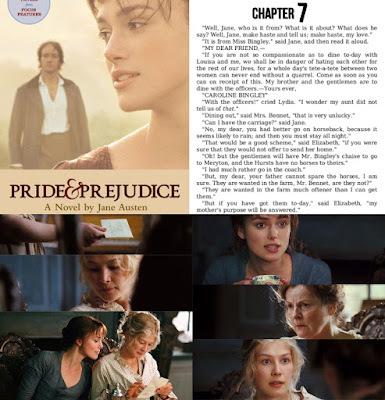 conversations between ElizabethBennet and her friend Charlotte about Jane & Bingley's relationship. 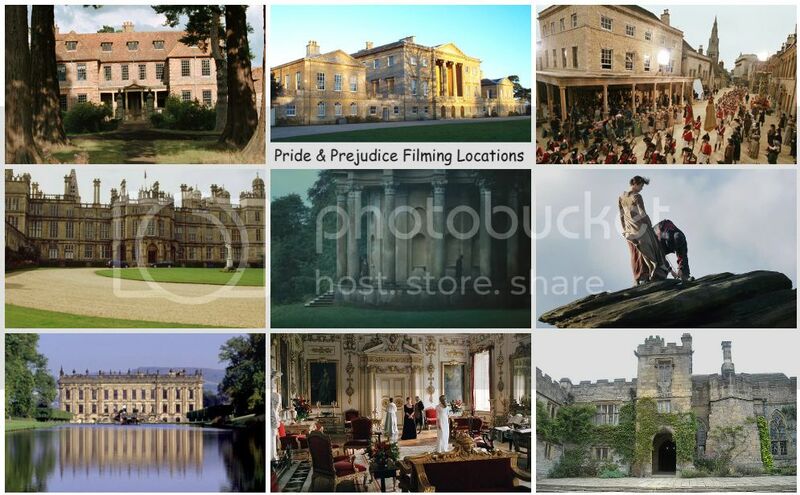 Another modern Pride and Prejudice retelling The Season (from Jonah Lisa & Stephen Dyer's contemporary YA novel of the same name, which was published last year) will be adapted into a feature film by Warner Bros. as announced today per Deadline. Watch: Keira Knightley returns as Elizabeth Swann in Pirates of the Caribbean 5 International Trailer! A new international trailer has just been released today for the upcoming Pirates of the Caribbean: Dead Men Tell No Tales, the fifth film from the POTC franchise.A quick glimpse of Keira Knightley as Elizabeth Swann is what everyone on social media were buzzing about earlier today! As I previously posted here last December 2016, Keira was reported to have a cameo role for Pirates 5 movie, and it now appears to be confirmed with a quick shot of her from the new trailer teasing the fans of her titular character that she, indeed, is back in the new film (and the blockbuster franchise that made her internationally famous). The fifth Pirates of the Caribbean film will seal into theaters on May 26, 2017. 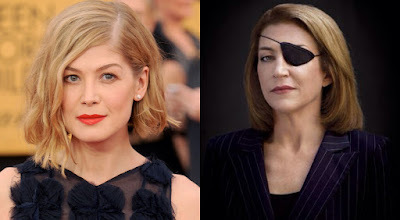 Rosamund Pikeis attached to star and portray Marie Colvin, an American War Reporter in an untitled biopic from Thunder Road Pictures according to both casting news reports earlier tonight per Deadline and Variety. A decade ago (2007), Keira Knightley started out as the fresh face of Chanel's Coco Mademoiselle Fragrance. 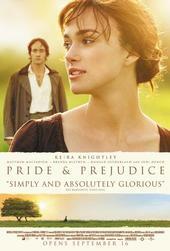 She had done some adverts campaign and a few TV commercials (all directed by her P&P/Atonement/AK director Joe Wright). Now, ten years later, she remains Chanel's Coco Mademoiselle's long-time spokesmodel for its fragrance. She was recently photographed by the acclaimed photographer Mario Testino for the 2017 ad campaign. No TV Commercial has been released as of yet, though I wonder if JW will reunite with KK to direct her (again) in another Chanel commercial. Let's hope so! We shall see! Also, she is the current face of the Chanel Fine Jewellery Campaign, which was launched last year (2016) and she wore designs of yellow and white diamonds in the adverts. Plus she did a Rouge Coco lipstick campaign in 2015. 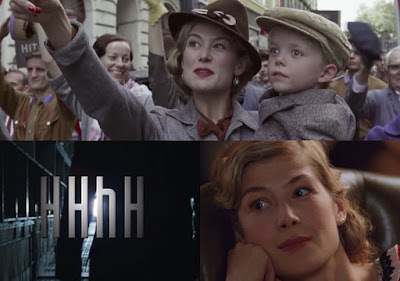 The first trailer was released yesterday (ahead of its France Cinema release: June 7th) for Rosamund Pike'supcoming World War II - Nazi drama,HHHH (aka The Man with the Iron Heart, probably the English title). She joins Jason Clarke (who plays Keira Knightley's husband in the upcoming Everestfilm and in a few films with Carey Mulligan in The Great Gatsby/Wall Street: MNS/Public Enemies) as ReinhardHeydrich whose character's wife Lina Heydrich is played by Rosamund; Mia Wasikowska (who co-starred with Judi Dench and Tamzin Merchant in Jane Eyre); and Jack O'Connell (who co-starred with Rupert Friend inStarred-Upand with Talulah Riley in The Liability). Jack Reynor (he co-stars with Tom Hollander in the upcomingJungle Book: Origins) also co-star. 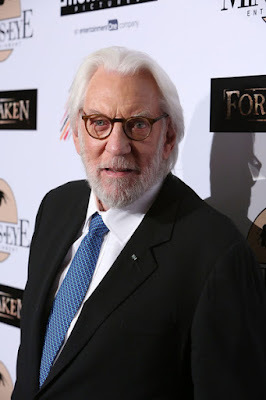 According to a recent Deadline article, Donald Sutherlandis set to play billionaire oil man J. Paul Getty in the first installment of its anthology series Trust. On TV Tonight: Watch Matthew Macfadyen in the Season 5 (Episode 6) Series Finale of Ripper Street! 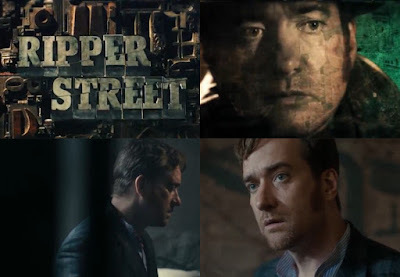 Tonight the fifth and final season of BBC America's crime mini-seriesRipper Streetstarring Matthew Macfadyen (as Detective Inspector Edmund Reid) concludes for the last time with Episode 6 at 11/10c. Jerome Flynn, Adam Rothenberg, andMyAnna Buringalso star. Is Season 6Rupert Friend's final season as agent Peter Quinn in Showtime's Homeland? Yes, sadly, it (most likely) was! 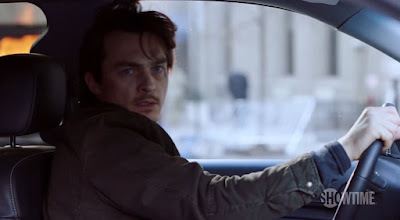 If you have seen the season 6 finale episode12 - America First of Homeland last Sunday (April 9th), then, you've seen the tragic fate of Rupert's beloved and fan favorite character, Peter Quinn. Showtime has released a spoiler finale tribute to Rupert's character (which you can watch at your own risk below) and RF had various S6 finale (spoiler-filled) interviews (read them, again, at your own risk in the links I've provided below). Rupert joined the series back in Season 2 (Episode 4) playing agent Peter Quinn, which he scored an Emmy Award nomination for Outstanding Guest Actor. Then, he was promoted to series regular in Season 3-6. 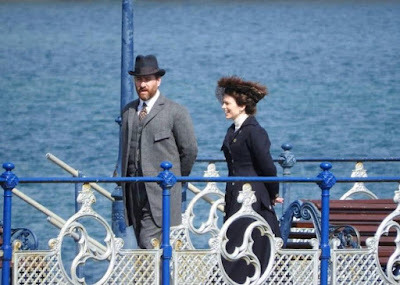 A few more new on set photos (via Daily Echo) of Matthew Macfadyen and Hayley Atwell as they were spotted in Swanage (Dorset) yesterday filming a scene in the BBC (UK) and Starz (USA) upcoming TV adaptation, a limited (four-part) series Howards End. Hayley posted on her Instagram account a hilarious photo of her and Matthew. 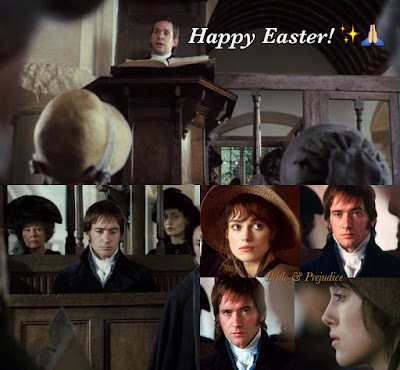 Continuing from my previous posts (Chapter 1, Chapter 3, and Chapter 4) and going into Chapter 5, which interestingly...only one line that was similar in both novel and film (as in part of the same scene with the Bennet sisters' conversation under their bed covers in the movie). P&P NewsBits: Keira Knightley covers Vogue Italia, Watch Kelly Reilly in trailer for Britannia, Carey Mulligan begins filming BBC Two's Collateral, and more! Here's today's quick news round up of TV and film news (including casting calls, a film synopsis, trailers, release dates, festival news, etc.) 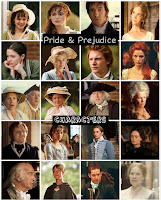 of the following P&P (2005) actors:Keira Knightley, Matthew Macfadyen, Rosamund Pike,Carey Mulligan, Kelly Reilly, andRupert Friendall in one post! 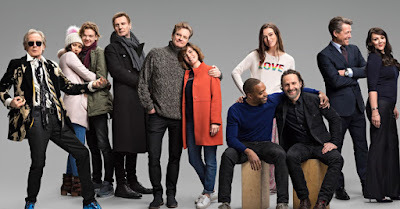 Love Actually Sequel Cast Reunion Photo and more BTS! A new cast reunion photo from Red Nose Day Actually (a 10-minute short film sequel to Love Actually, the 2003 romantic-comedy movie), in which Keira Knightleywith some of her original LA co-stars reunited for the mini-sequel was aired in the UK last March 24th on BBC One was recently released via Entertainment Weekly. You can Watch: Keira Knightley in Red Nose Day Actually Short Film. The US version of NBC's Red Nose Day special (featuring an American Exclusive scene with Laura Linney!) will air on May 25th. 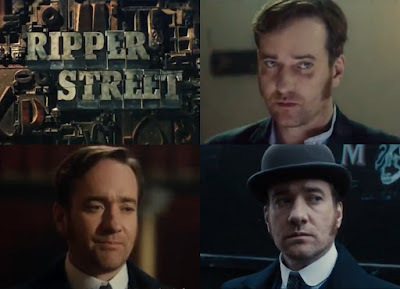 Tonight the fifth and final season of BBC America's crime mini-seriesRipper Streetstarring Matthew Macfadyen (as Detective Inspector Edmund Reid) continues with Episode 5 at 11/10c. Jerome Flynn, Adam Rothenberg, andMyAnna Buringalso star.